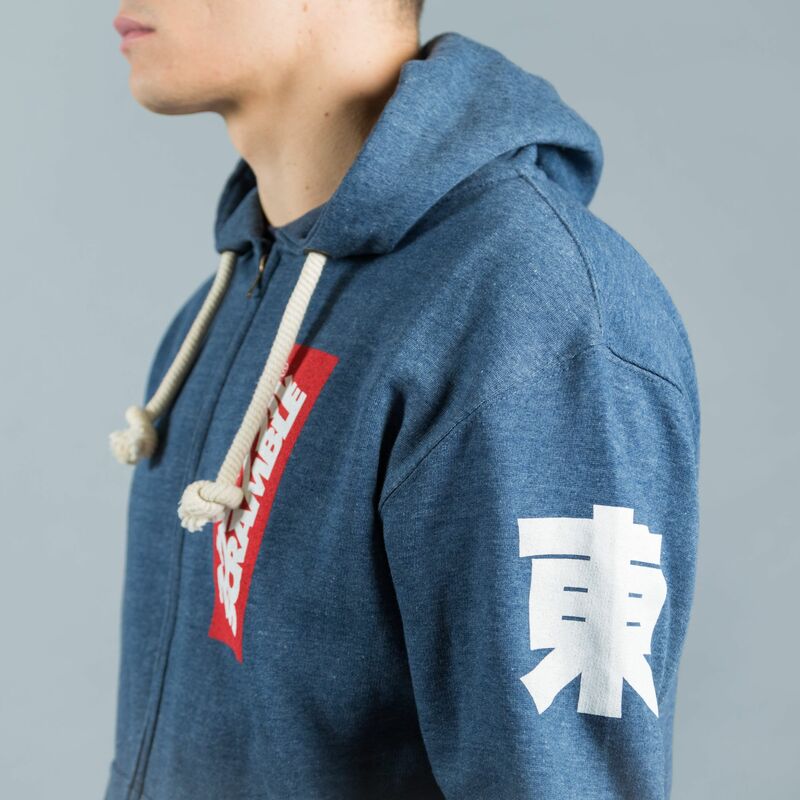 Zip up hoody with East / West in kanji on the shoulders and vertical box logo on chest. 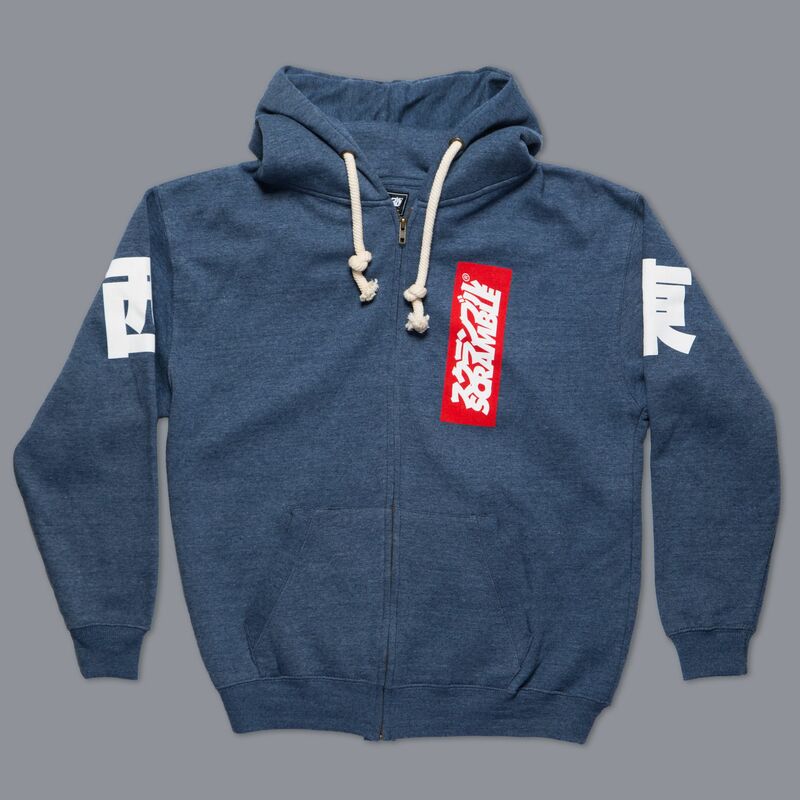 Really good quality, hardwearing and comfortable hoody. No fading of logos and the extra pockets and earphone holes are really practical.